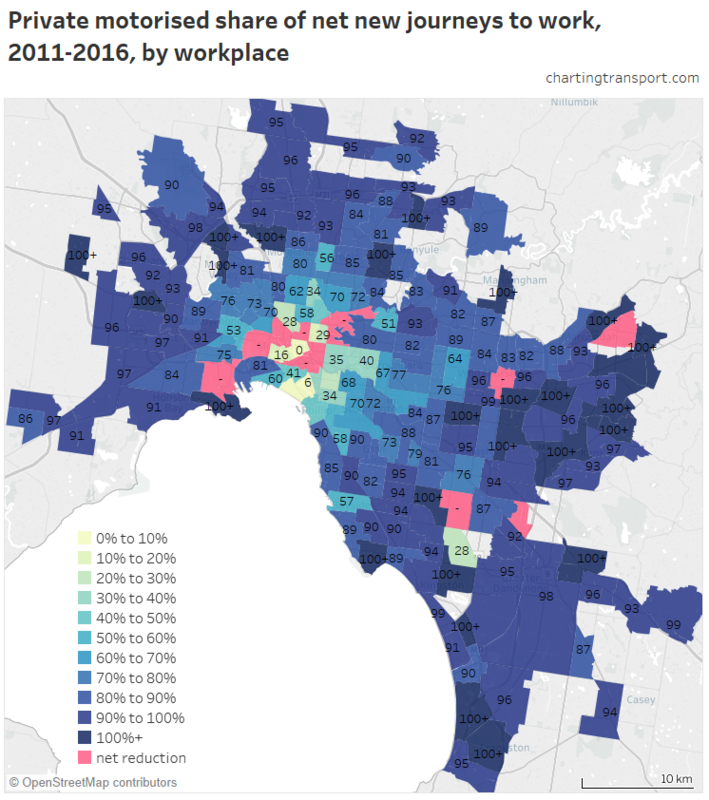 This entry was posted on Tuesday, December 5th, 2017 at 9:21 pm and is filed under Employment density, Melbourne, Mode share, Mode shift. You can follow any responses to this entry through the RSS 2.0 feed. You can leave a response, or trackback from your own site. 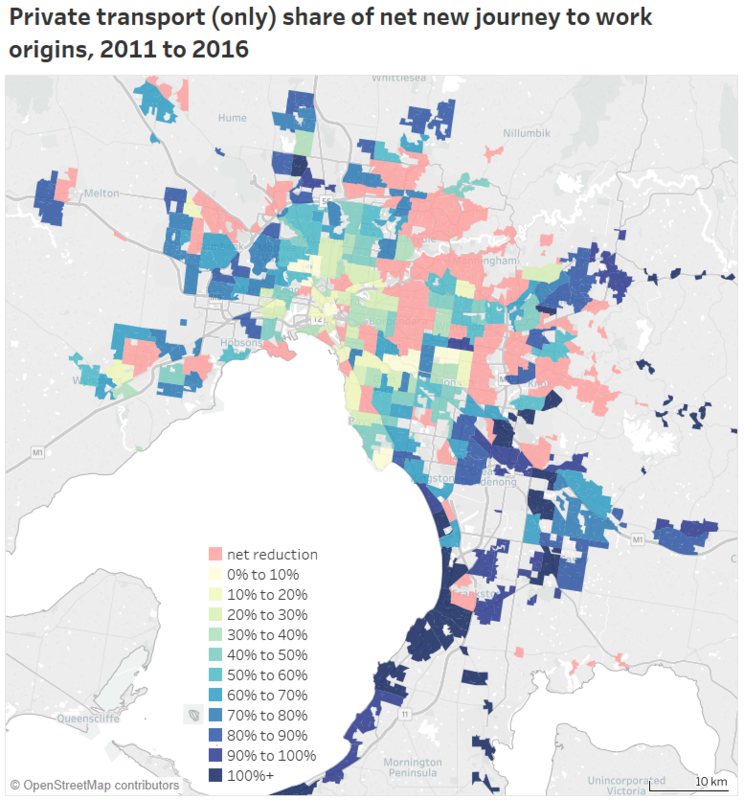 EXCELLENT ANALYSIS – QUITE ABSORBING. 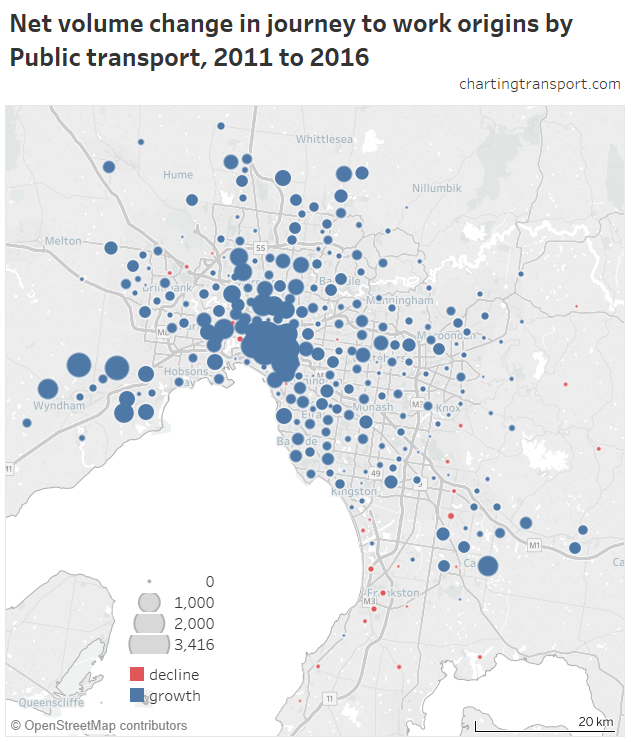 Hopefully the Bureaucracy will take it on board and improve access to Public Transport. Great work again Chris. 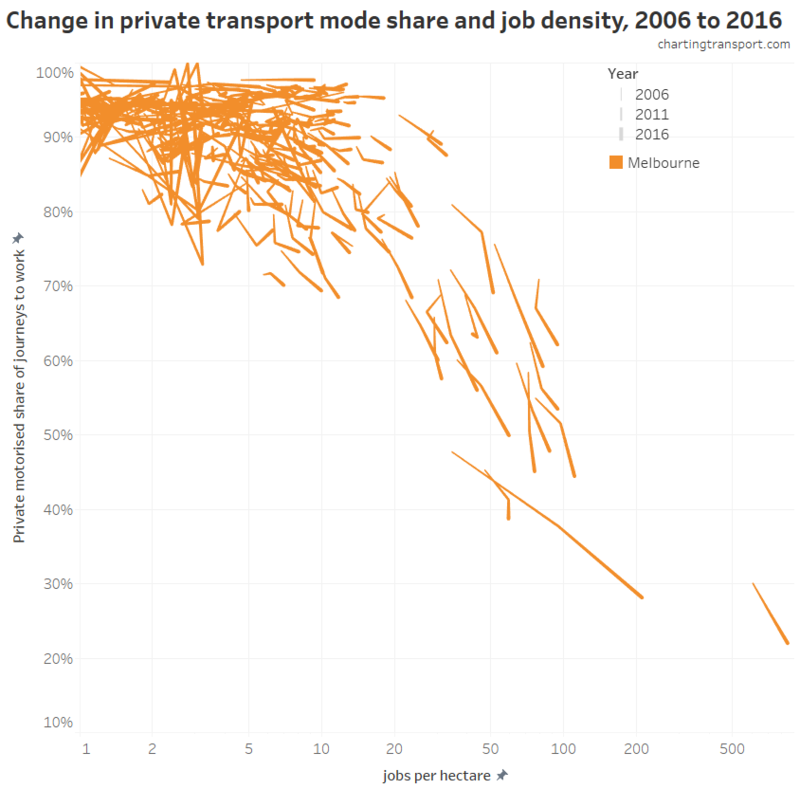 In light of this analysis, I wonder about the governmental neglect, by all parties, of public transport around the middle and outer suburbs and to the national employment and innovation clusters. 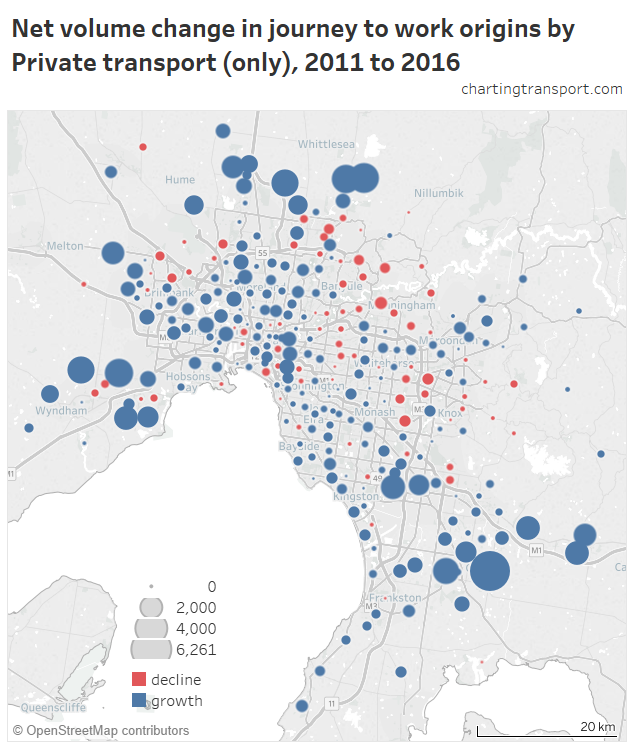 Rail is attracting massive capital funding, which is long overdue but disproportionate to its role relative to tram and bus. 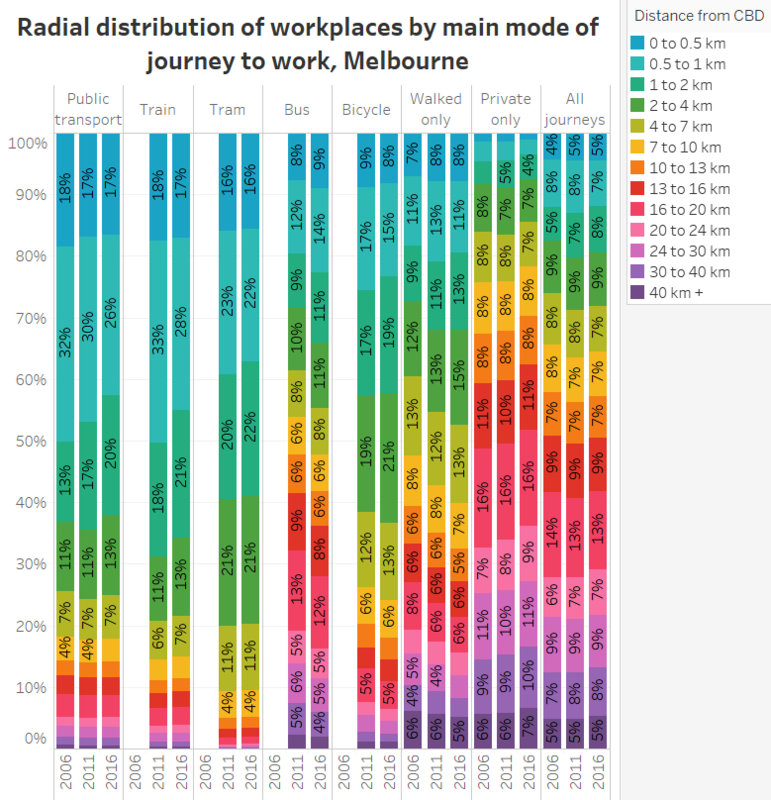 The punters in the middle and outer suburbs, most of whom don’t have long radial work trips, are getting very little in the way of new/improved services, even though this is where population growth is still heavily concentrated. There are major equity issues here. Awesome, thank you. One gripe though: I would have liked to see cycling and walking separate. They are not the same mode despite being lumped together all the time. 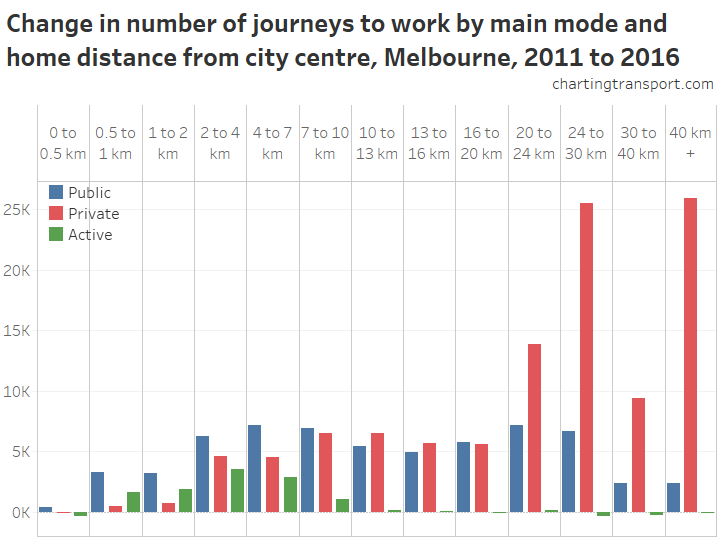 Walking already has a substantial network of infrastructure in Australian cities, cycling does not. 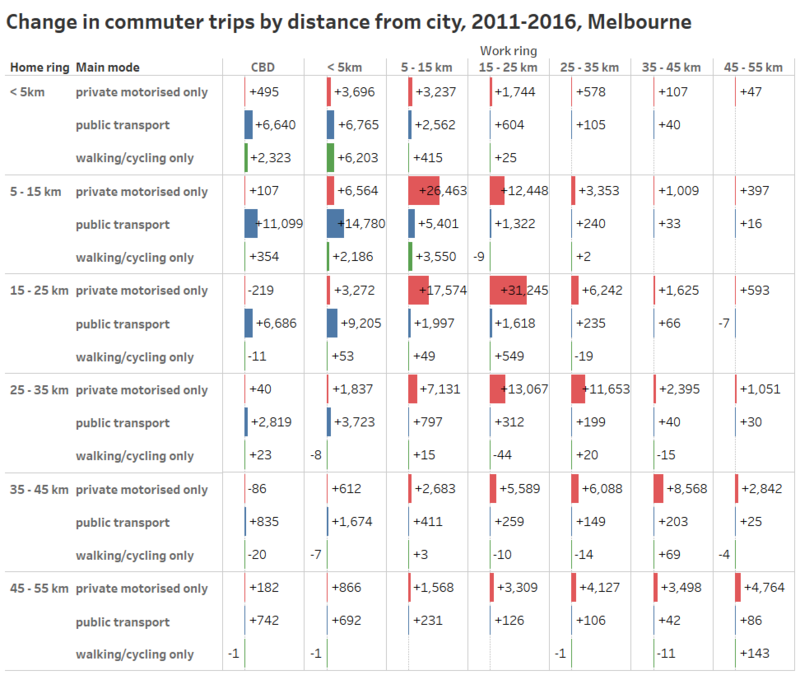 Walking mode share is much more dependent on density and mixed land use, cycling less so. That said, I understand why you have presented them like that for this analysis. 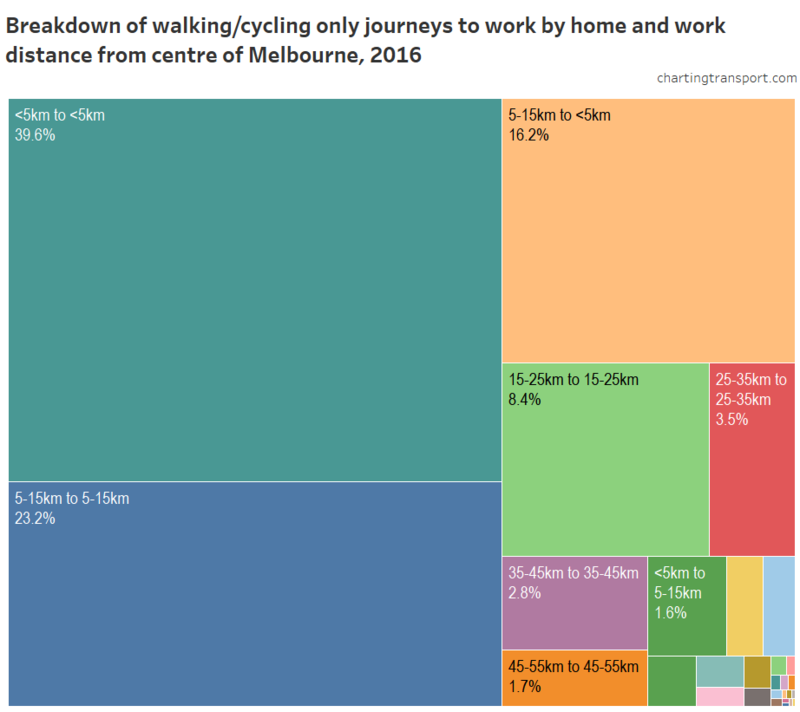 Hi James, I will be looking into walking and cycling in more detail in an upcoming post. 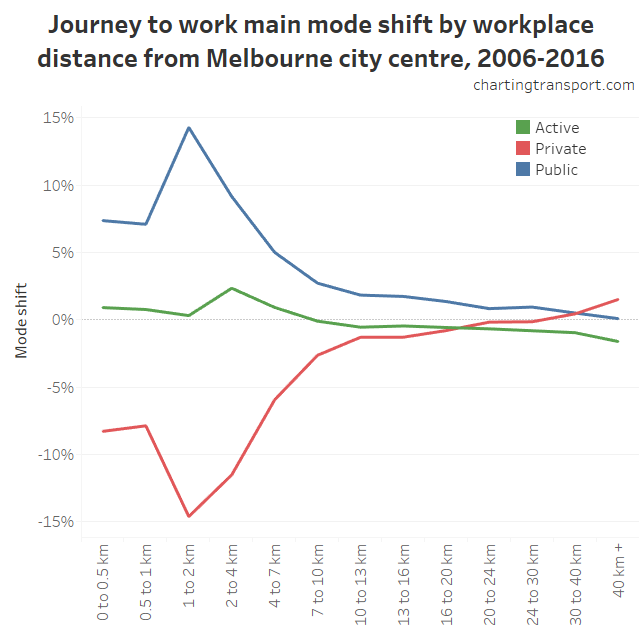 The mode shift at Ardeer – Albion could be due to residents of Deer Park / Caroline Springs switching to V/Line services upgraded on the Regional Rail Link route, instead of the bus + suburban train journey they made previously. 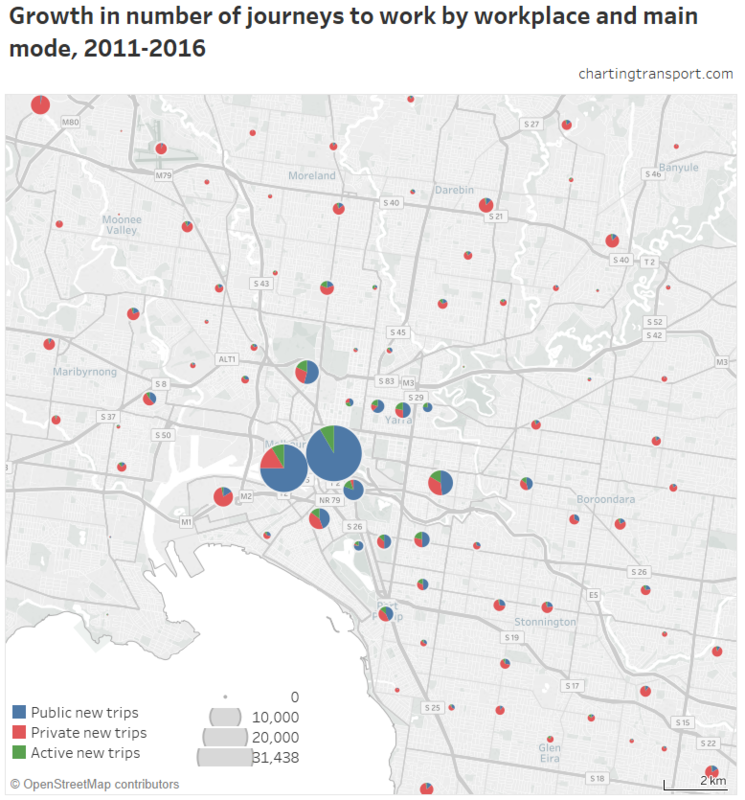 Hi Marcus, the census doesn’t ask people what type of train or bus they used, so a shift between different operators used shouldn’t impact the overall public transport mode share. 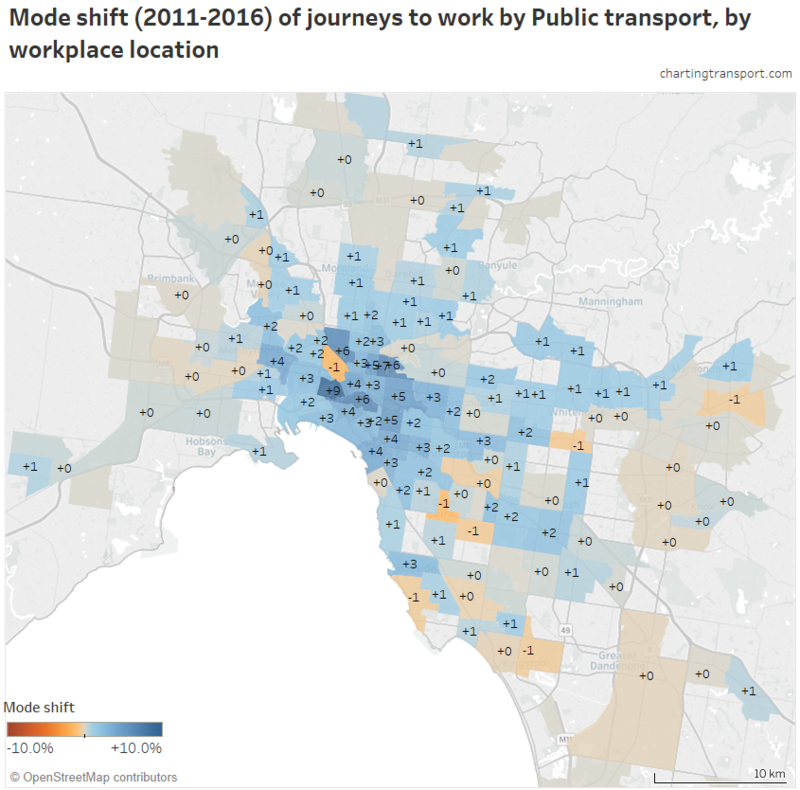 Digging deeper… There was actually an increase in public transport mode share and total trips from Ardeer – Albion to the Melbourne CBD (77% to 84%), but the proportion of people travelling to the CBD dropped from to 13.4% to 11.9%. ie More growth to other destinations that generally have a lower PT mode share. Not massive changes, but nor was the mode shift away from PT. 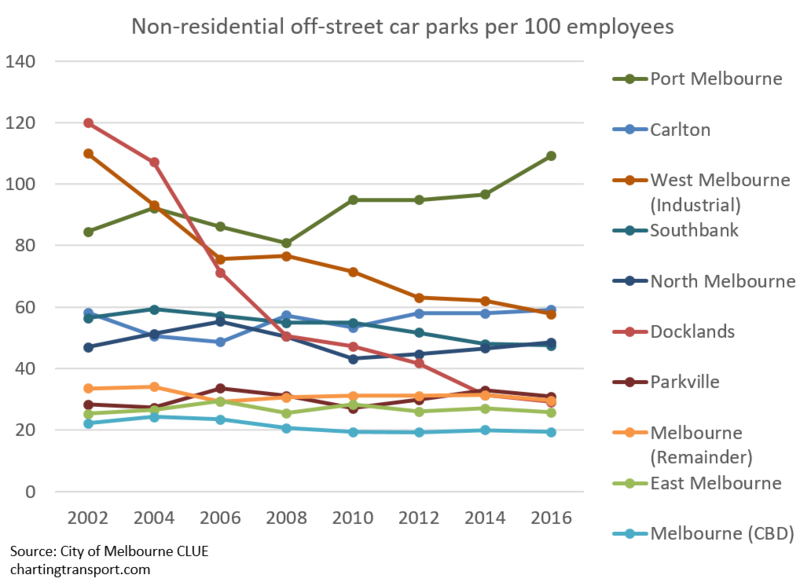 Great analysis and thanks for including parking! Excellent work! There is so much interesting detail here! 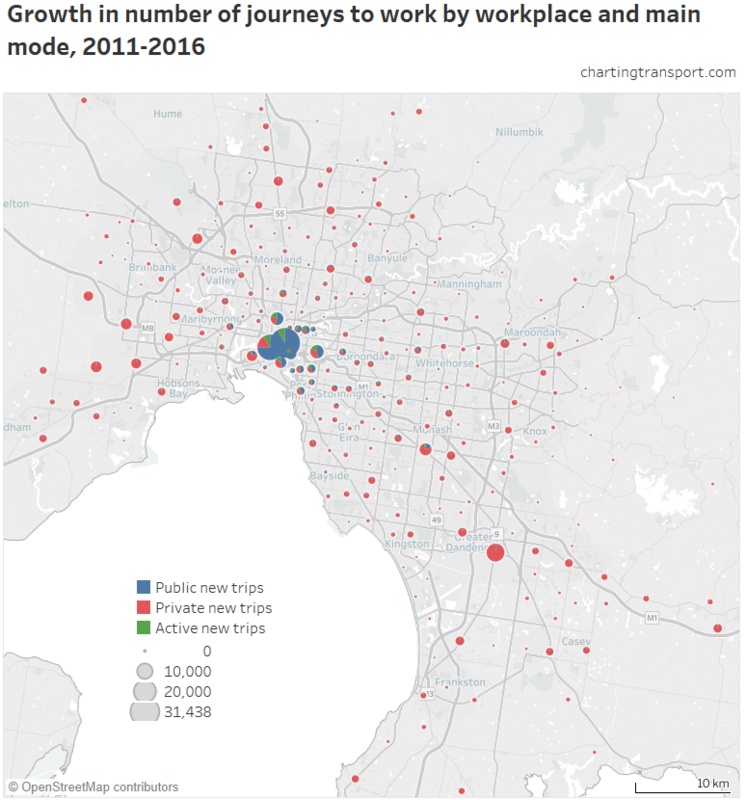 The expansion of the parking levy may be partly responsible for the high mode shift in some of the areas surrounding the CBD. 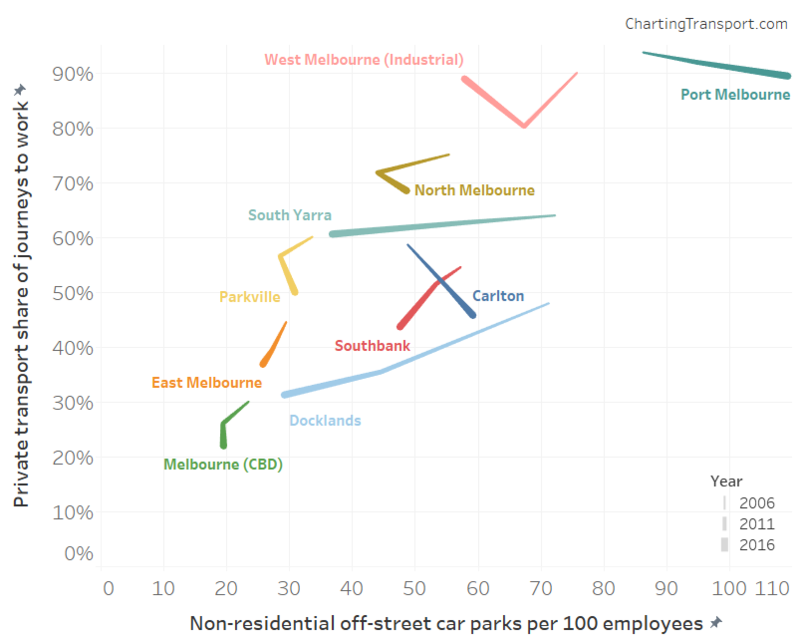 I think parking levies in further areas surrounding the CBD (Richmond, Footscray, Hawthorn, etc.) 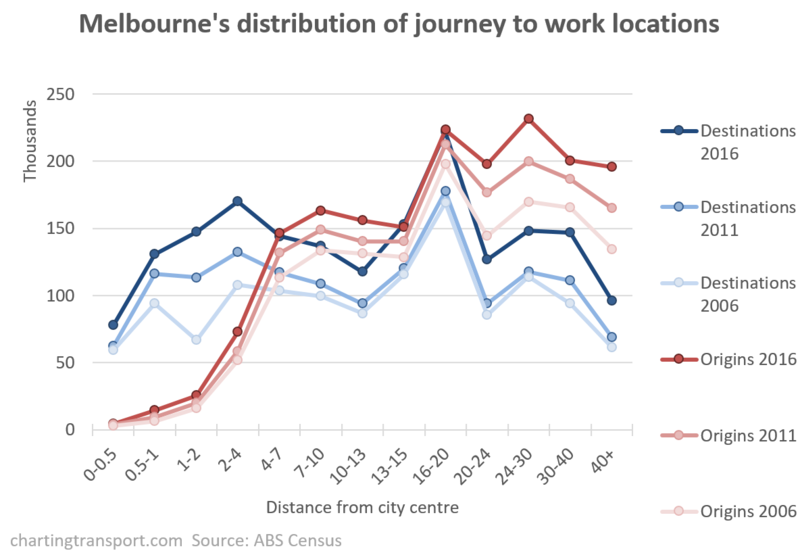 and in some of the suburban job centres (Box Hill, Dandenong, etc.) would achieve further mode shift to PT and active transport. 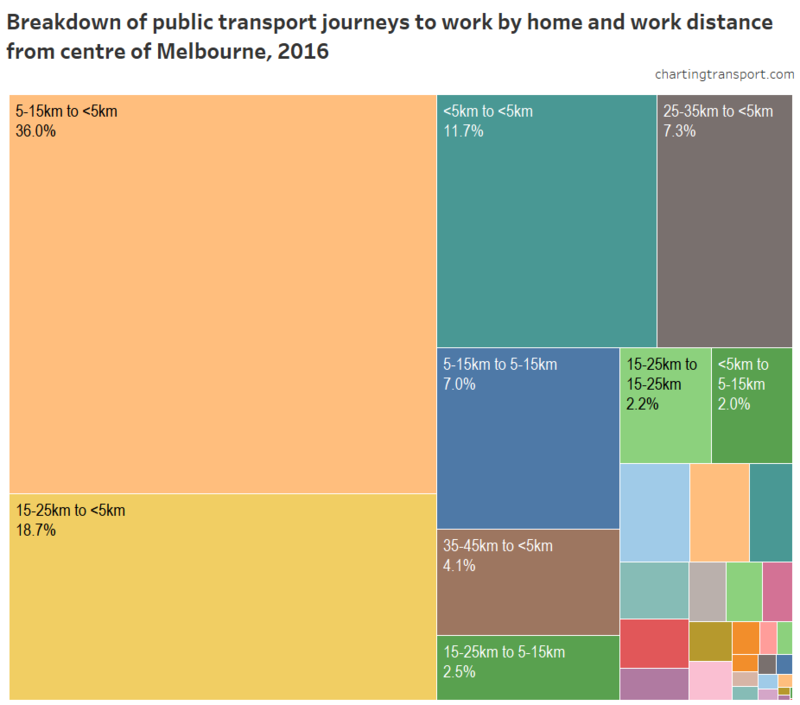 I suspect that the under reporting of other forms of transport (trams, buses and cars) used in train journeys to the census has recurred at the census and thus has distorted the data.